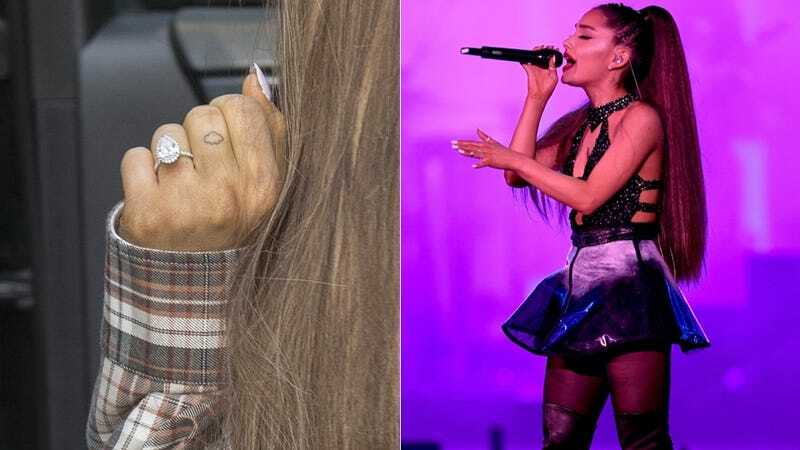 Following her split with Pete Davidson, which is said to have occurred sometime over the weekend, Ariana Grande wasted no time returning the three-carat engagement ring he gave her in May, valued at an estimated $93,000. Grande, who is currently 25, is said to have made the decision to end the engagement due to her ongoing grief regarding Mac Miller’s drug-related overdose. She is said to be “devastated,” which is to be expected. Baldwin, who has matching BFF tattoos with one of the Jenner children as well as her cousin Ireland Baldwin, stated that she has no plans for any Biebs-related ink. After the pair married in September, it was quickly revealed that Bieber had foregone a prenuptial agreement. If I had advice for Hailey, it would be to get the tattoo, which is bound to hurry the inevitable divorce, and her resultant riches. Chess, not checkers, girls.